And just like that, it's Friday! I feel like some days this week were wildly productive, and others were just kind of a struggle. I'm happy to say though, that there have officially been 5 posts in a row here on chelceytate.com this week, and that hasn't happened in a few months. I've officially gotten back into the groove of writing everyday, and it's really the best way I could imagine starting my day. Now, onto the good stuff! It's been a while since I've done a Weekly Update around here, but basically this is the scoop ... I wrap up my favorite online finds from around the world wide web, recap the posts that I've written in case you missed any during the week, and cap it off with a list of things I'm excited about because always having something to look forward to is the best way to live in my opinion! 1. 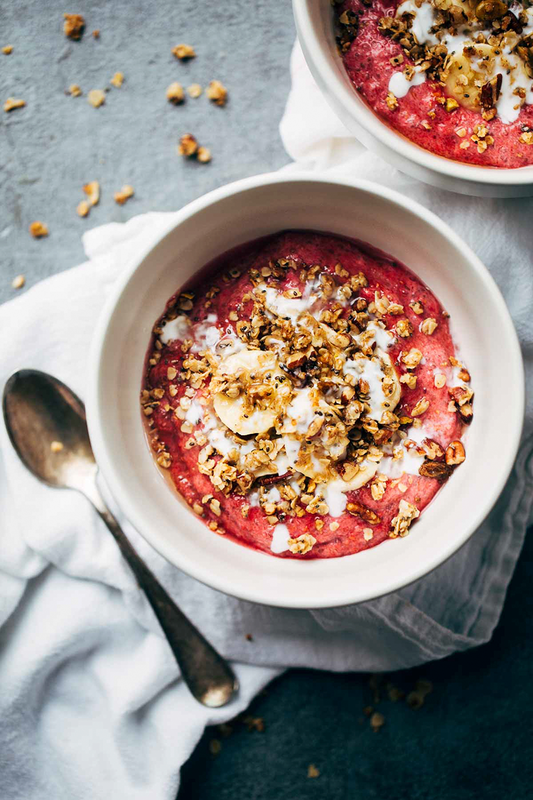 10 Smoothie Bowls That Will Make You A Morning Person via The Sunday Chapter // I've never been stellar with mornings, and I typically opt for something simple like cereal, but I'm a sucker for a good smoothie! I love the idea of smoothie bowls for breakfast, and it's the perfect opportunity to put our new blender to good use! 2. Danielle Burkleo Home Tour via Danielle Burkleo // That gallery wall is seriously giving me ALL of the heart eyes over here. 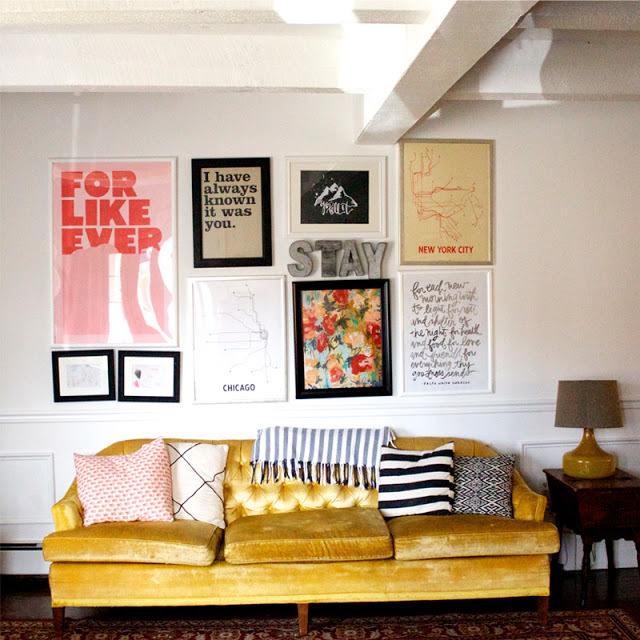 I've been trying to figure out where I want to put our gallery wall in our living room, and I think this photo from Danielle's house has confirmed that sticking it right above the couch is definitely the way to go! 3. Bluegrass Bookbinding via Etsy // I stumbled upon this awesome shop on Instagram, and now that I've started to embrace some traditional pen to paper journaling, I'm thinking I need to pick one of these up. Not to mention that it's a Louisville based shop, and you know I'm all about shopping small + local! 4. 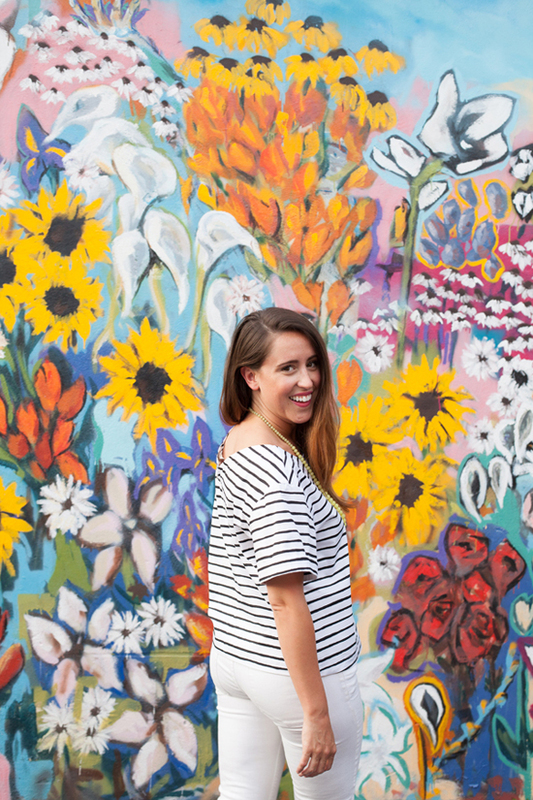 20 Must See Nashville Murals via Here & Now // Sean mentioned last night that we should take a fun weekend trip sometime in the next few weeks, and I'm thinking Nashville just might be the perfect place. I've driven through Nashville more times than I can count growing up, but I've never had the opportunity to really explore the city. Not to mention that these murals are reason enough to make the short trip! 1. Leather Details // It's not often that you'll catch me in a dress around here outside of the warmer months, but this sweater dress from Madewell was just too good not to share! That paired with this leather jacket, and it's a date night look made in heaven that's guaranteed to make you feel just a little bit edgier than you actually are. Win-win, am I right? 2. Tuesday Ten: Valentine's Day Finds // This week was the very first installment of the new weekly series around here called Tuesday Ten! Even if you're not a Valentine's Day kind of gal, I guarantee that there's something on this list that you might just want to steal for yourself! 3. Mini Heart Strawberry Pies // How cute are these!? Trust me, if you have anything coming up for Valentine's Day, an anniversary, or any other fun event that heart shaped deserts would be appropriate at, this is the only recipe you'll need. 4. Wintertime Sadness // Does anyone else feel particularly down or unmotivated once the cold weather sets in? For me, January and February are the longest months of the entire year. This post goes into more about how I deal with the wintertime blues. 1. Dry Bar just opened a brand new location right here in Louisville, and I get to spend my afternoon checking it out with Amanda from Derby City Darling! A Friday afternoon complete with a blowout, and a lunch date with my best blogging gal pal sounds like the perfect way to wrap up the week if you ask me! 2. Speaking of friends in the blogging world, I've totally lucked out with some awesome ones. Connecting with people via Instagram, and actually doing something outside of the online world is one of my favorite things! I'm heading out on Sunday with Ashley from ashleyglass.net for a coffee date, and a quick photoshoot. If you haven't checked out her blog yet, you definitely need to! Bare Mama // Earlier this week, Jordan and I launched her brand new blog, Bare Mama! The project lasted a couple of weeks, and we both are so thrilled with how it all came together. She wanted her new blog design as minimal and simple as possible, and I think we did just that! Jordan blogs about motherhood, marriage, and so many other things that are close to her heart. So, what are you waiting for? Go check it out!